LIBERTYVILLE, Ill. (WLS) -- An Illinois State Police trooper died early Saturday following a crash involving a wrong-way driver near Libertyville in the north suburbs. This is the third ISP trooper killed in a crash since the start of the year, including one who was killed on Thursday. Trooper Gerald Ellis, 36, was on-duty in his squad car traveling home on Interstate 94 westbound near milepost 16.75 in Green Oaks when a wrong-way driver, who was traveling eastbound in the westbound lanes, struck him head on. Ellis was transported to a local area hospital with life threatening injuries and was pronounced dead at about 4 a.m. The wrong-way driver was also killed. It was immediately unclear why the driver was in the wrong lane. The body of Trooper Ellis was escorted by law enforcement to the Lake County Coroner's Office in Waukegan. "While the men and women of the Illinois State Police are still grieving our recent loss, it is with profound heartache and unfathomable sadness that we inform you of the death of another fallen trooper, Trooper Gerald Ellis," said Illinois State Police Acting Director Brendan Kelly. "Trooper Ellis laid down his life while protecting the citizens of this state. 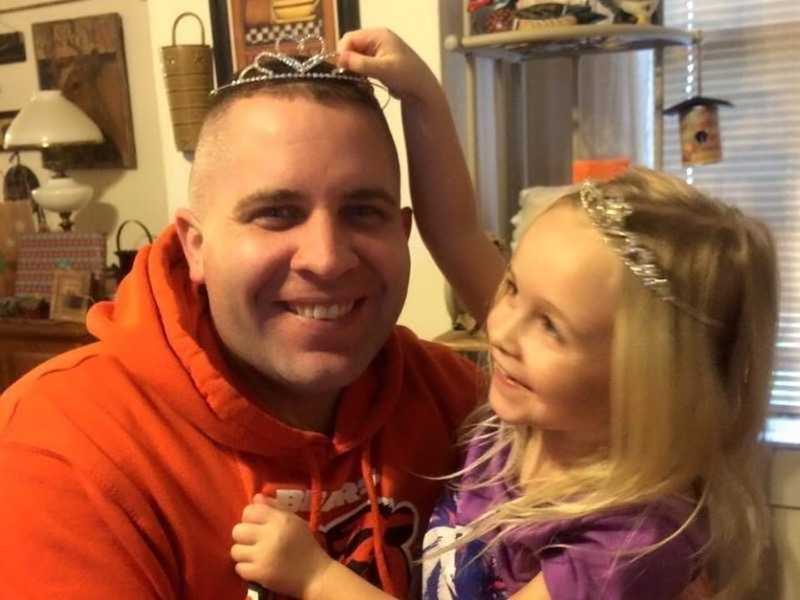 We are asking the public to respectfully give consideration to the family of Trooper Ellis and the ISP while we continue to process and work through this tragedy." Ellis was an 11-year veteran of the Illinois State Police District 15 in Downers Grove. He served in the military and is survived by a wife and two children. "People need to understand and be aware of their actions at all times because one moment of distraction can devastate an entire family," said sister-in-law Tabitha Ellis. Tabitha Ellis described her brother-in-law as "soft-spoken and big-hearted. Loved by anybody who knew him." Just two days before, Illinois State Police Trooper Brooke Jones-Story was killed during a traffic stop near Rockford. This is the second crash involving a state trooper in the past three days. In January, Trooper Christopher Lambert was killed during a traffic stop in Northbrook. It's been 66 years since three troopers have been killed in a single year. Sixteen state troopers have been hit along Illinois roads so far in this year, which is double the total of eight troopers struck in all of 2018. "How many more of these tragedies have to occur at the hands of drivers making dangerous choices behind the wheel," asked Kelly in a press conference today. The Illinois State Police has not lost two troopers in this many days since 1997, said Kelly. "This loss is bitter salt in an open wound," Kelly said.